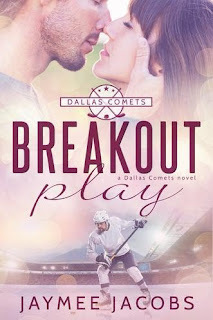 As a part of the Hottie Hockey Hunks Blog Hop, I'm sponsoring a giveaway (cue flashing lights! Cue trumpets!). I've decided to give a free copy of my new novel, Shots on Net, to one lucky reader who comments on this post! Please leave your e-mail address in the comment so I can contact the winner. 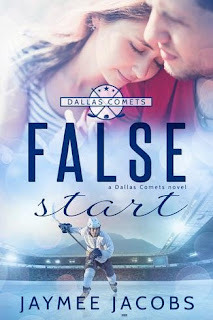 So if you're a fan of hockey, and a fan of romance, check out some of these authors! The blog hop runs for the first full week of the hockey season, from today until October 8, so you visit one new author per day (at least, that's what I'm doing!). And now I'm going to get back to writing. I can safely announce that I'm now over halfway there, so I've made progress! What a perfect way to mark the first day of the new NHL season--thanks so much! Hi Jaymee! I`m hopping along to meet all the other hockey loving authors! Thankfully, opening day was yesterday for me. I had to break down and buy a season pass to the NHL for my phone. Can't miss any of the games. It's great to see that my 2 favorite passions are now joined. I'm glad that I'm following this hop! I've been introduced to some authors that are new for me & I can't wait to read their books. Love reading sports themed stories. Thanks for the giveaway! 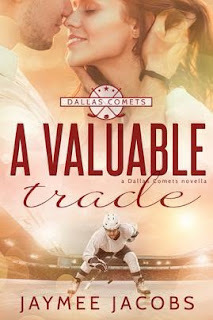 Love hockey and romance books. I look forward to reading your book. Thanks for the giveaway. 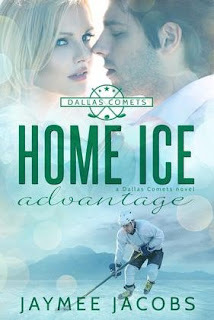 What a great hop - I'm love hockey romance books! Good luck!